Last summer we unveiled plans to build the Golden Oak community and now our first luxury resort homes at Walt Disney World Resort are finished; they’re ready to move in. So of course, we wanted to share a few first images with Disney Parks Blog readers. Nice, huh? One of the first community members will be a grandfather who has been visiting the theme parks with his extended family for years. His home is amazing. It includes a bedroom and play area for his seven grandchildren filled with special touches. 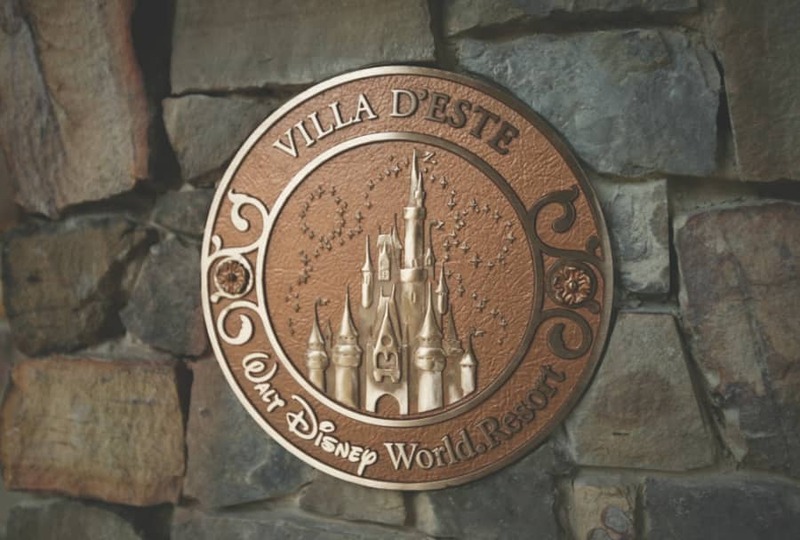 Another special Disney touch on the exterior of every Golden Oak home will be a customized medallion. Let us know in the comments what special Disney touch you’d love to add to your dream home. When will Disney design homes for us middle – class folk? Talk about a good way to bring the housing market a new spark!! What a magical place to live in EVERY DAY! We are looking at lots to build on. This place looks great but I have one major concern with this location. Our family loves to bike ride but it looks like the roads are NOT bike friendly. Does Disney have any plans to add a bike lane? I agree with William (comment 24). These homes are far beyond gorgeous and I would love to live in one one day. But let’s face it, I will never. I love Disney, having frequented every year since I was 2. But I am a little disappointed that these homes would not be affordable to those who truly live the Disney experience- the middle class family. So many things in life are for the “rich and famous” and now, this too. I will not stop my yearly WDW vacations now that I have children who love it too, but it will certainly always be in the back of my mind that Disney has created a dream living community for those who are not always a kid at heart. When I first saw this I was star struck. I want to live there so bad now. Pretty sure we could never afford it, though. To the person complaining about the price; have you ever priced a piece of property and the house from the ground up? Yeah, $1.5-8 million is a lot of money, but you are purchasing Disney property and customizing your own house in addition to all the amenities of living next to the parks. What an awesome place to live. 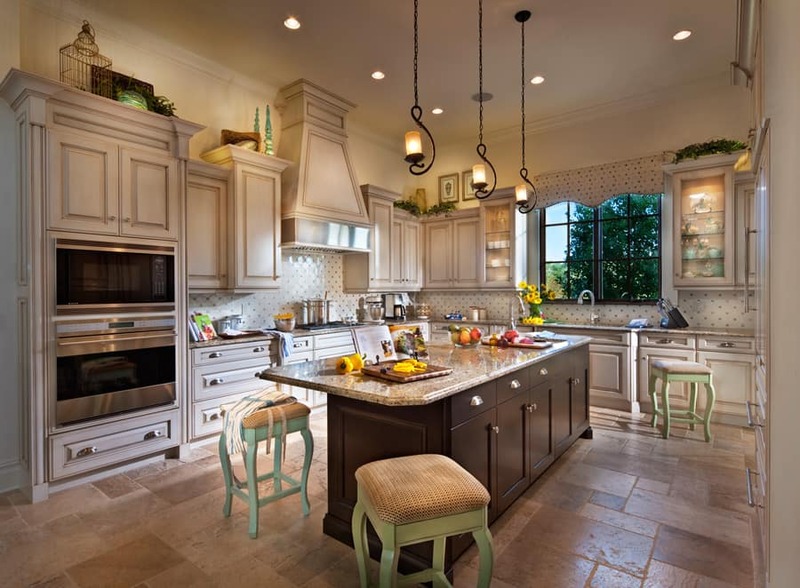 I may not be able to move to Florida or live in this dream, but I would love to know what the floor is in the light colored kitchen. It’s gorgeous!! Is park admission included with the homes? I want to live here! 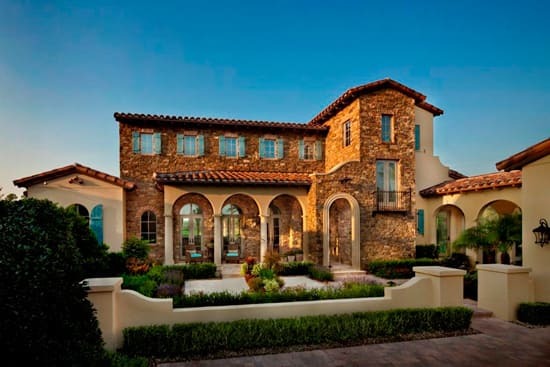 The idea of waking up in the morning in a great house, in a great development is the American Dream. The fact that I could walk out my door and five minutes later I’m at Epcot walking around World Showcase or being at DHS riding the Rock and Roller Coaster was unimaginatible until now. I know it’s for people who have money, but most new beautiful houses cost a fortune anyway. I would buy one it if I had the funds. I have no kids myself, but many cousins, 2nd cousins, and third cousins who would love to come see their big cousin and most importantly to the little ones, see Disney World. I have to agree with William here a bit on the exclusive nature of such homes and whether or not that is something that Walt would have agreed with. At the same time Disney may be planning something more affordable for people of simpler means. 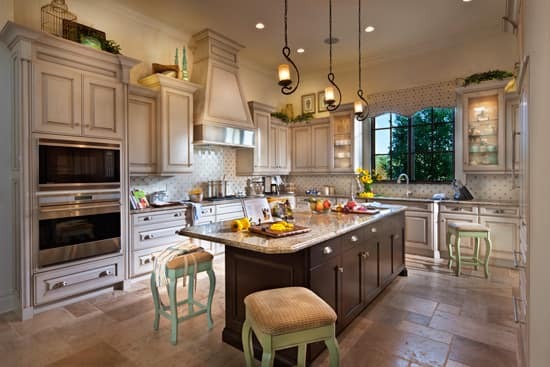 I would assume that the majority of the Disney guests cannot afford such luxurious homes. I would think that a smart executive would realize that and perhaps see the dollars that would bring in if others could enjoy something somewhat similar. That being said, as Disney has always said dreams do come true…perhaps someone out there now will make that wish and the fates will make it happen. I have a new reason to play the lottery now…Dream House and Disney, what a perfect match! This home and all the others will be incredible. Just hope there is enough room to show case all the Mickeys. What I would like to see is a our family sitting in the lounge area enjoying another day in the World of Magic and Dreams. I wonder why people always find negative things to say about something good. 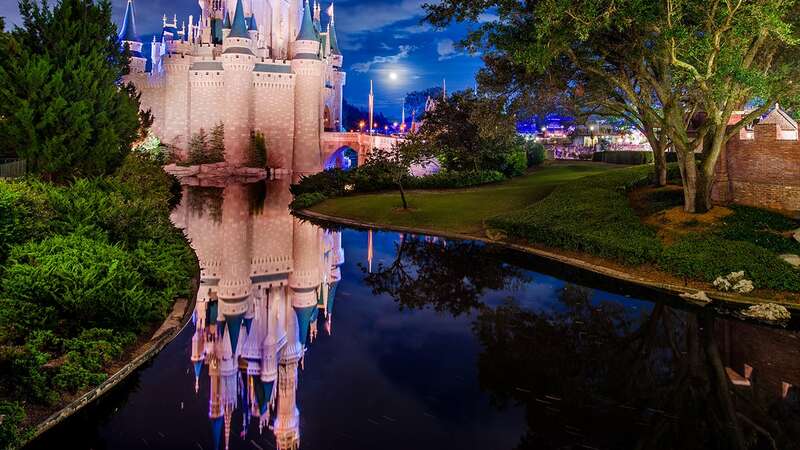 Disney did a great job and if I were to add something to my dream home – I would definitely want to be able to have a view of Cinderella Castle every night so that I could view the fireworks. Even if I couldn’t view it by walking outside my home, I would like to be able to view it virtually – inside my home. No, I’ll never live in Golden Oaks, but I can imagine how awesome it would be! I’ll never live in Cinderella Castle either and that’s my real dream home! But it’s fun to imagine!! You asked what I would like to see in these houses? Well, besides myself living in them I would to see them be green? With no shortage of land it would be kind of cool if there was some sort of energy farm (solar, wind, etc) hidden offsite that powered the community. Even things as triple paned windows, whole house fans, low flow toilets and appliances, etc would be cool. Out of curiousity, does Disney maintain the grounds if these end up being vacation homes? Wow!! I, an my family would love to live in one of these houses. But given the price tag (1.4 to 8 mill) makes that reality unlikely to down-right impossible. How is it that these homes can only be targeted for a specific glass? Whom might I add can afford to buy all the extras if they purchase one of these homes. If I had millions it won’t matter to me if Golden Oaks threw in VIP passes for me and my family, I could just buy them. It doesn’t seem fair for the working class people whom I believe would love to live in a home such as this on Disney property and be able to enjoy ALL the amenities. Actually I think the concept is a great idea, I’ve wondered about this often to why Disney never offered such a living experience for people whom visit more than average. I just don’t think it should be targeted for a higher class. Was this something Walt really would want? Maybe? Maybe-not! absolutely GORGEOUS!!!! Who wouldn’t want to live there? The medallion is the perfect finishing touch, and Disney has done a perfect job again! Well, I’ll have to keep dreaming, but I would definitely want a weather vane that looks like Captain Hook’s pirate ship. It would be fabulous to have a place there that everyone could stay at with us. Hey! We could work part-time in the parks! I know where I want to live if I win the lottery!! Amazing. I will live in Golden Oaks one day. It’s my goal! 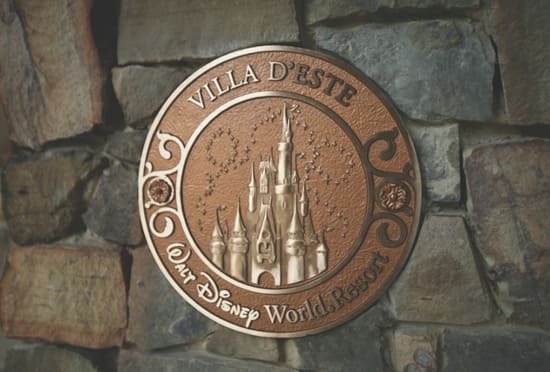 Just one powerball ticket away from DaVinci or Villa D’Este…I was on the original waiting list for Celebration….Desperately seeking Walt’s EPCOT…. I’m curious — Does the house price include a furniture package? I would love to see some hidden mickeys in the homes. Easy ones reveal themselves, while hard ones bring loads of surprises years after you moved in. The homes look amazing! Fantastic work Disney! “What is the price range of the homes at Golden Oak? Agreed. Sad to know there are now beautiful places like this in Walt Disney World we’ll never be able to visit or stay in. 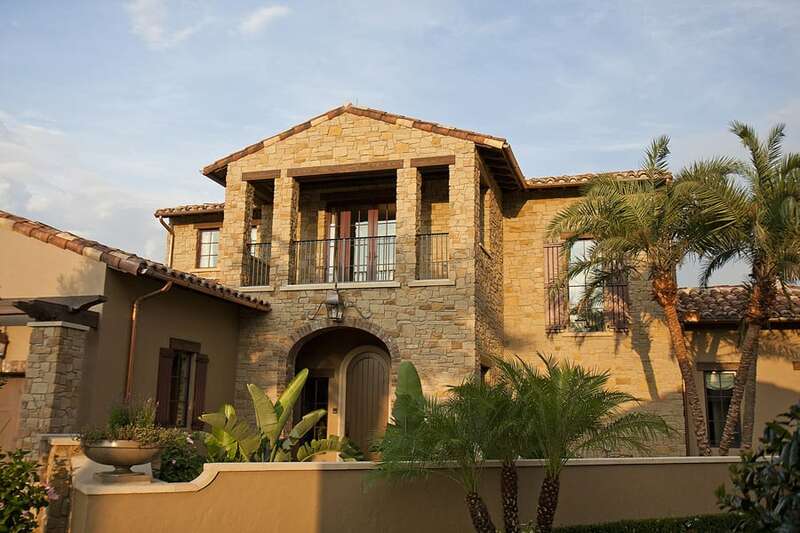 Well, if I had $1.5+ million to spend on a house, I’d be moving to Golden Oaks!! Talk about a perfect dream house for this Disney nut! Wow! This is truly remarkable. How much are these homes going for? Playing the lottery just to get one of these 8(;0D I would like to see little hidden Mickey’s in and around the house. The home with the pool in the center courtyard looks just like the dream home I always imagined. When I was a child, we visited my mother’s friend who lived in the Boca area. Her home was like that and I knew that was what my dream home should be like. Now… for that money tree!! These pics are amazing. Beautifully decorated. I would love to have some kind of light fixture/sconce that is Mickey themed on the outside of the house as well as a mailbox!! Holy Moly!!! Sure do wish the money tree I planted out back would start to grow 😉 These homes are amazing! I’m slacked-jawed. Beautiful, beautiful homes on very magical property. I guess I should start saving up for one of these! Beautiful!! Golden Oaks is right around the corner from us. These homes are absolutely gorgeous! 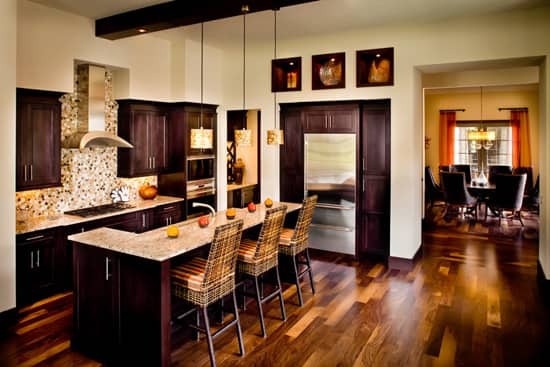 My wife and I looked at the Golden Oak plans when they were unveiled and instantly fell in love. Not only are these beautiful dream homes, they’re in the most magical community. The medallion outside of the homes is a perfect! I’d also love to see special house numbers or door knockers with a touch of Disney magic.